Current events can cause us to want to better understand our past — how did we get where we are, why do we react the way we do, how can we avoid making the same mistakes. Becoming a student of history does not have to be a dry and dreary experience. 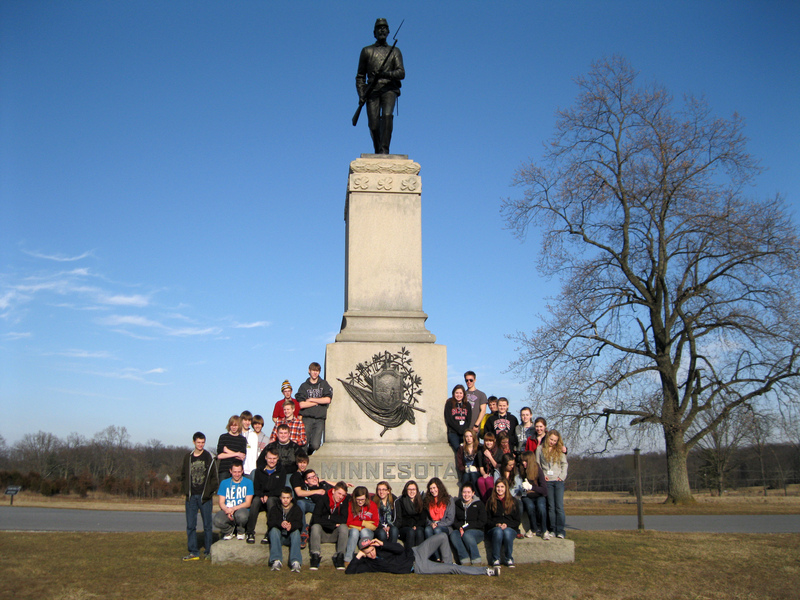 Education Program Leader Andrew review The Civil War — a rich, yet do-able approach to gaining an understanding of the Civil War from beginning to end. While simple words on the pages of newspapers and textbooks can capture and illuminate many of the events of history, there are some that mere words cannot adequately illustrate nor quantify. The American Civil War, fought from 1861 to 1865 and costing more than 600,000 American lives, is such a historical event. Ken Burns, in the nine part TV series The Civil War attempts and succeeds at giving life, emotion and meaning to the words of history in his retelling of the narrative of The American Civil War. Instead of presenting pages of emotionless facts and descriptions of military tactics as one finds in popular texts on the war, Ken Burns masterfully brings the realities of everyday life during this catastrophic conflict to life. Burns succeeds in doing this by masterfully weaving together multiple elements of storytelling. The first storytelling e lement, and foundation of the series The Civil War, is the everyday people Burns follows through the series. Characters, such as the southern civilian Marry Chesnutt, present vivid detail into the thoughts, feelings and emotions of the South while journal entries and official telegrams between Union generals, such as Mede and Sherman, reveal the views of the North. Letters read aloud by excellent voice-actors reveal the true emotions of being a soldier on both sides of the conflict. Upon the foundation of the testimony of those who lived and fought through the conflict, Burns moves the story forward with concise narration and expert input from key historians. Each historian’s voice in the series presents a slightly different view of the war such as southern and African American. Adding to the narrative of each historian are countless photographs, visually bringing their words to life. Each photograph the series presents adds a human face to counter the faceless inhumanity of the war. Topping off The Civil War’s polished presentation are dozens of songs, anthems and themes known and sung by people on both sides of the conflict and reproduced for the series. Overall Ken Burns’ The Civil War is a rich piece of investigative history and filmmaking. Loads of information is packed into each of the nine episodes without overwhelming the viewer. History buffs will find themselves often pausing to scribble down new tidbits of information and to explore story threads from the war they had not discovered previously. For the casual viewer, one must keep in mind this series is highly educational. One cannot sit down expecting state of the art graphics and mind numbing entertainment. Instead the viewer can expect to be engaged both mentally and emotionally with the conflict that tore the United States apart and that change the country from “these” United States to “The” United States of America.